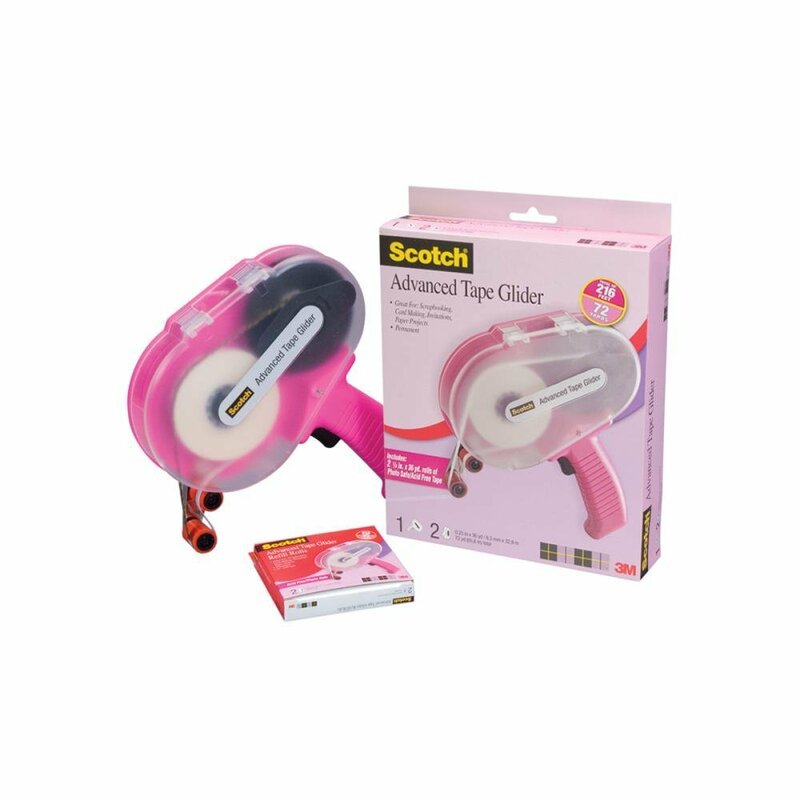 Adhesives > Scotch� Advanced Tape Glide Gun 1/4"
Scotch� Advanced Tape Glide Gun 1/4"
Scotch Advanced Tape Glide Gun. Use the ATG Gun and its refills as your adhesive applicator of choice for scrapbooking, card making, invitations and other paper crafting projects. A touch of the finger triggers quick, controlled application of tape. No mess or clean up. Saves time and effort. Applies tape while simultaneously removing and rewinding the liner. Refills are available in Acid free and general Purpose. 2 Acid Free Tapes Pink-Package contains Pink dispenser with 2 rolls each .25"x36 yards. Photo safe, acid free,double sided, permanent tape. Do not use for antiques, heirlooms, valuables or irreplaceable items.